Recently, on behalf of the University Management Board, Vice Rector Nguyen Van Nam warmly welcomed a delegation from Mobifone Service Company region 8 located in Dong Nai. Receiving the delegation also were Head and Deputy Head of Enterprise Relation and Student Support Division Tran Dung and Truong Anh Minh. 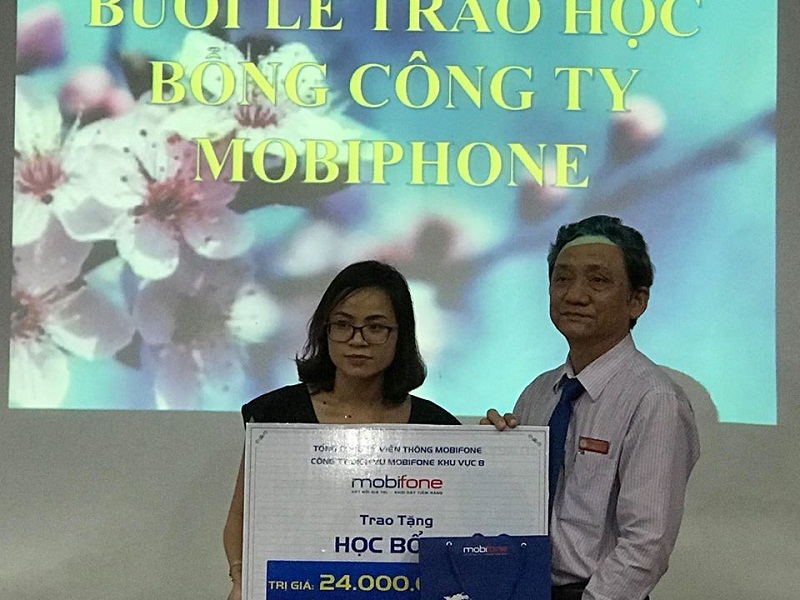 Representatives of Mobifone Service Company including Ms. Nguyen Thi Hai Ly - Head of Bien Hoa Mobifone and Ms. Hoang Thi Kim Dung - Marketing officer met and donated eight scholarships each worth 3 million VND to LHU poor studious students. On behalf of the University Management Board, Vice Rector Nguyen Van Nam received the scholarship from the Company. 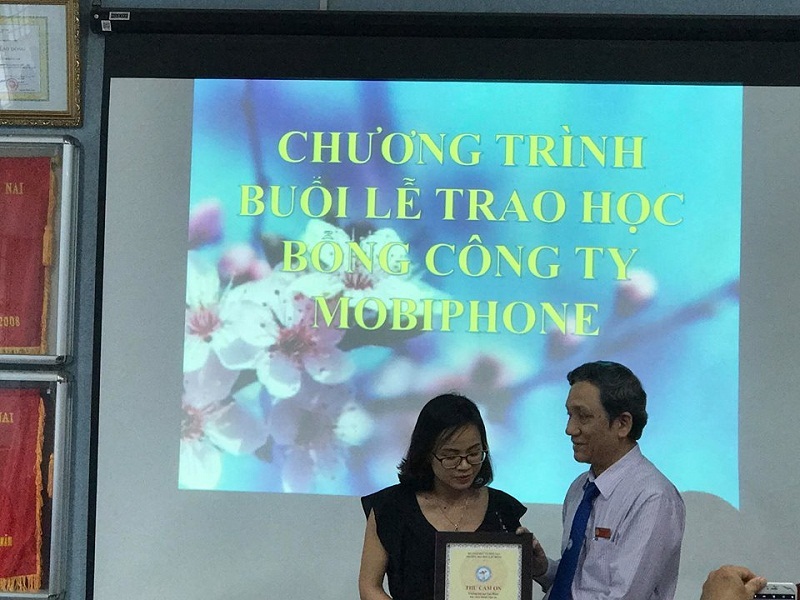 Head of Bien Hoa Mobifone Nguyen Thi Hai Ly said that from 2015 to 2018, the Company had sponsored programs and activities for LHU's teachers and students and many scholarships for poor studious students. Also, the Company implemented many meaningful programs such as presenting sim cards, transferring to student sim and offering service plans. She added that the school year 2017-2018 was the third year Mobifone scholarship fund was implemented. So far, many students of LHU have received scholarships from Mobifone Company. "I hope that you all will always remember this support, continue to study, perfect and affirm yourself to have high-paying jobs to help family and society", said Ms. Ly. Mr. Huynh Cong Hieu - third-year student, Faculty of International Economics expressed "This scholarship is not much, but a great motivation for us to study harder, not betraying the love of parents and teaching of teachers". Representing for the University Management Board, Vice Rector Nguyen Van Nam sent sincere thanks to the Company Board of Directors and also wished the Company more development. He did not forget to advise students to strive to overcome circumstances to learn better next years since there were many valuable scholarships from many enterprises inside and outside the province.